Bonjour ! 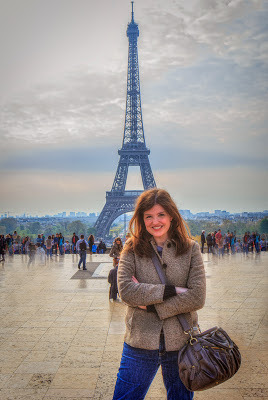 My name is Samantha Decker, and I am a middle school French teacher in upstate New York. The French Corner was started as a website in November 2003 with the purpose of teaching basic French to anyone who wants to learn it. It was then expanded to provide information about France, especially Paris, and French and francophone culture. In 2007, the French Corner made the transition into a blog. Over the years, the focus of the blog has drifted more towards teaching French as opposed to learning it. While I still keep links to the parts of the blog which contain vocabulary and grammatical resources, I no longer make posts about those types of topics, as I am more focused on blogging about teaching French. I am a proud member of the American Council on the Teaching of Foreign Languages (ACTFL), the American Association of Teachers of French (AATF), the New York State Association of Foreign Language Teachers (NYSAFLT), and the Capital Organization of Language Teachers (COLT). If you would like to contact me, please visit this page. Also, please visit my photography blog, Through the Glass. 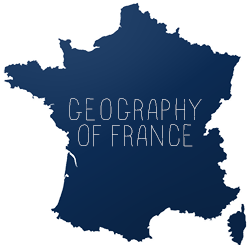 If you have written a piece you think would be relevant to the French Corner (about French language, education or culture) or would like to write something specifically for the blog, please contact me about contributing! The point of a blog is to share information, and I would love to have more voices here! People who have contributed in the past have added a great flavor to the French Corner. Please DO NOT contact me about featuring a product or service in your post. The French Corner was mentioned in the August/September 2014 issue of The Language Educator, published by ACTFL. je commence un blog sur la France, et le français pour les correspondants Américains de mes élèves Français ... et je suis tombée sur ton blog. C'est une mine d'or!! Bravo! Merci beaucoup pour le lien avec mon blog. Je vais etudier tes resources de pres... N'hesite pas a emprunter mes references sur delicious ou Diigo. J'ai des milliers de liens pour le Francais car je l'enseigne et c'est aussi ma langue maternelle. I've added both your Spanish and French sites to my blogroll. I chanced upon your blog because of some confusion I had between subjonctif present and conditionnel present. Anywho, I found this site RAVISHING! An amazing layout, great technique and easily understandable language. Just one suggestion: on your subjonctif page, please give some examples in french for each of the uses. Thanks. je suis professeur de FLE depuis 8 ans en France à Lyon. Je commence dans ce style de vidéo et je souhaite que cela aide les apprenants. N'hésitez pas à me faire des commentaires quels qu'ils soient. J'enseigne le FLE aux E.U. depuis trois ans (6th,7th, 8th grade) . Jusqu'à présent, je n'utilisais pas de livre mais je vais mettre sur pied un nouveau département de FLE dans ma prochaine école. Quels livres recommanderiez-vous? Je veux continuer à enseigner à ma façon avec mes propres resources mais le support du livre est parfois utile pour les élèves. Merci de partager vos experiences avec moi! Samantha, J'ai adapté plusieurs de vos idées et je vous remercie de partager votre excellent travail! 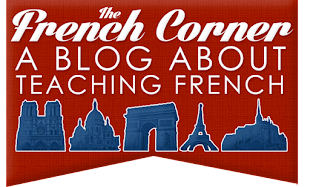 I would like to personally congratulate you as your blog The French Corner has been selected by our panelist as one of the Top 100 Teacher Blogs on the web. I personally give you a high-five and want to thank you for your contribution to this world. This is the most comprehensive list of Top 100 Teacher Blogs on the internet and I’m honored to have you as part of this! Thanks for your comment! I wonder if you were in my mom's class, she had Ms. Lynaugh around the same time as you (as did I many years later). A love of French runs in my family! J'aime beaucoup vos idees et vos activites pour vos classes. Je suis une nouvelle prof de francais, et je cherche toujours des activites amusantes pour mes classes. Merci beaucoup!